# Roast the finely sliced onion with oil. When the onion turns pink add chickpea sized chopped lamb. # When the water evaporates, add chopped hot red pepper and long hot pepper and the pounded garlic. # Add paste, crushed red pepper, salt and finally the boiled kidney beans. # Cook over medium heat for 5 minutes without adding water and then add 1 cup hot water, and cook for about 10-15 minutes. # Take the meal from the stove, sprinkle sliced parsley on it and cover the lid. Note: Hot Kidney Beans is a recipe from Mexico. 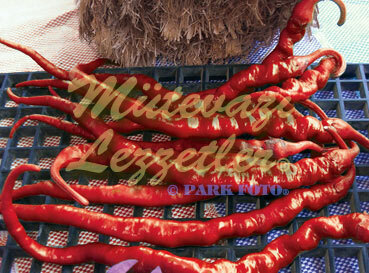 Its original name is "Chili con Carne".